In 2008, I published an earlier version of this post spotting curious parallels between the geographic spread of non-rational ideas and biological parasitism -- or phrased differently -- between memetic and genetic pandemics. 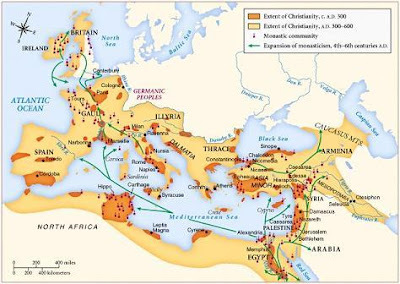 Beyond these two examples from European history -- the expansion of Christianity and the spread of the Great Plague (a.k.a. the Black Death) -- as shown in these two maps... 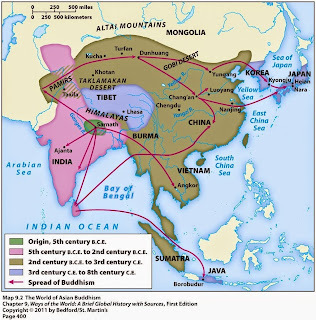 Here we have two more examples, first the spread of Islam... And the spread of Buddhism... Yes, these happen on different timescales, have diverse points of origin, and varied mechanisms for transmission + replication + mutation. Nevertheless both poisonous ideas and viral poisons are parallel phenomena for humanity to apply scientific methods on, to ever more thoroughly understand, and to ultimately prevail over.